Is a children's health insurance plan necessary for my kids? 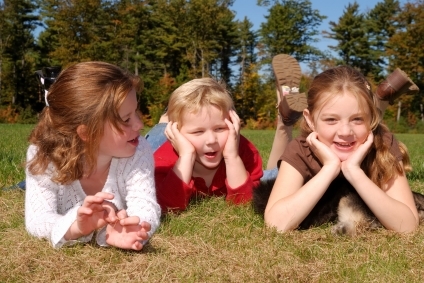 Home / FAQ / Is a children’s health insurance plan necessary for my kids? Is a children’s health insurance plan necessary for my kids? If your child is not covered by your health insurance policy or you do not have insurance, you may want to invest in a policy. Children who are not covered by health insurance are less likely to receive regular check-ups and immunizations, and proper medical care for illnesses or injuries. Health insurance for children is always a good idea, and there are some low cost options. Need health insurance quotes for your kids? Try typing your ZIP code into the FREE search tool here! Even healthy children get sick or hurt. Children are exposed to germs at schools, daycares, and playgrounds. Even common illnesses can become life threatening without proper medical care. Injuries are also unpredictable. Do private insurers offer policies just for kids? Private health insurance companies do offer policies designed just for children. Many group and individual policies also offer family plans. When you shop for any type of insurance policy always compare coverage and cost for multiple plans. Finding a children’s health insurance program is not as easy as for adults. Many companies still offer polices but you have to contact them directly. The types of plan offered will also vary. The most common policies will be managed care or short term. Managed care plans utilize a network of providers and as long as you stay on their network you will receive care for discounted prices. Most plans will only require a small copayment when you see a doctor. Common types of managed care plans are HMOs and PPOs. Short term health insurance plans are policies that are only effective for six months and can only be renewed once. These plans are a great option if you are between plans and just need temporary coverage for your children. You can also find health savings plans that can be used for children. These plans allow you to make tax free deposits and withdraw anytime to pay for medical bills. The money is invested in low risk accounts when you are not using it. Are there government health insurance programs for children? Every state offers Medicaid and Children’s Health Insurance Program (CHIP) for low income families and children. 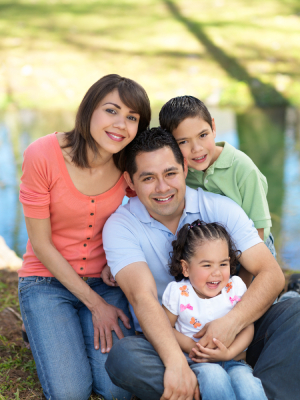 If you qualify your children will receive free or low cost insurance. Each state is free to run and govern their low income health insurance program. This allows them to decide what coverage they can offer and what qualifications they require. There are some federal guidelines they must follow though. These guidelines state the minimum of healthcare the state must provide and the eligibility requirements. States can offer more coverage or lower eligibility requirements as their funding allows. These programs have to cover checkups, immunizations, hospital visits, and laboratory tests. Preventive care is offered for free but other services may have a small copayment. Many states also cover dental care and maternity care. What laws that regulate health insurance for kids? There has been a lot of news about the Affordable Care Act and what changes to health insurance it will make. Many of the changes relate directly to health insurance and children. One of the biggest changes was no longer allowing private insurance companies to deny coverage for children with preexisting conditions. They cannot limit or exclude coverage for anyone under the age of 19. The new law also extended the coverage age for dependent children. The law before allowed you to keep children on your plan until they were 19 or 24 if they were full time students. Now you can maintain coverage on them until 26 even if they do not continue their education. Your policy can refuse to cover them if they are offered insurance from their own employer though. One more direct benefit for children under the new law is free preventive care under your health insurance policy. This means all well baby and routine checkups will no longer require copayments like regular visits to the doctor. Immunizations are also part of the free preventive health care provision. The Affordable Care Act also increased funding to Medicaid to allow states cover more people. The federal government will match state funds to cover low income families. In 2013, the CHIP program will also receive two more years of funding from the government. The law will also raise the eligibility line for Medicaid in 2014. It will go from 100% below the poverty line to 133%. This means more people will have access to Medicaid. To help states cover the increase Medicaid will be federally funded for the first 3 years. Just type your ZIP code into the FREE search tool to find health insurance rates for your area!